When it comes to some things, big is not always better. New research has confirmed what many clinicians believe – that having surgery to reduce excessively large breast size indeed leads to a new lease of life, and to improved health outcomes. “The study was conducted to assess how much breast reduction surgery improved the health of women who suffer from the considerable physical and psychosocial symptoms of excessively large breasts or macromastia,” says Flinders University PhD candidate Tamara Crittenden. 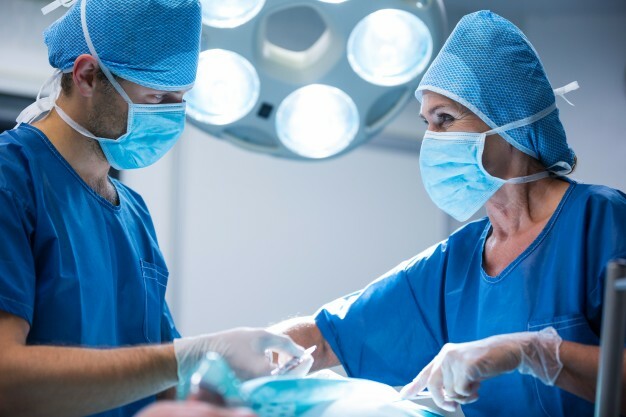 The Flinders researchers hope the results will help remove any barriers towards breast reduction surgery, including among medical practitioners. The BREAST-Q Reduction questionnaire was developed and offered to eligible participants who were in consultation for breast reduction with Flinders Medical Centre plastic and reconstructive surgeons Dr Nicola Dean and Dr Phil Griffin between 2007 and 2016. In all 168 participants completed the preoperative questionnaire and 156 participants completed the postoperative questionnaire. Ms Crittenden compared the improvement in health-related quality of life responses to findings with normative data to better understand the health burden of macromastia and the outcomes of breast reduction surgery. “Statistically significant improvements were observed across every area of the BREAST-Q questionnaire following breast reduction surgery,” Ms Crittenden says. “In comparison to the published normative data, preoperative quality of life for women undergoing breast reduction was significantly lower. “Postoperatively, patients scored higher than the norm. “We can conclude from these results that bilateral breast reduction is a highly effective procedure for improving quality of life in women and relieving the health burden of macromastia,” she says. The research findings were presented as part of the Flinders Health Research Week at Bedford Park in September. Breast reduction surgery is offered to women who suffer from excessively large breasts or macromastia, where their breasts are large enough to cause functional symptoms including skin rashes and infections, back and neck pain, psychological and body image issues and exercise capacity impediments that adversely affect their quality of life. Ms Crittenden says the data collected from the latest study will help to ensure that no restrictions are placed on breast reduction surgery that aren’t evidence-based. The researchers also hope to measure how cost-effective breast reduction surgery is in comparison to other major surgical procedures. The cause of macromastia is not known but often connected to hormonal change including adolescence and pregnancy, medication and occasionally obesity.